In 2013, Anna decided it was time to dip her toes into the world of cosplay. 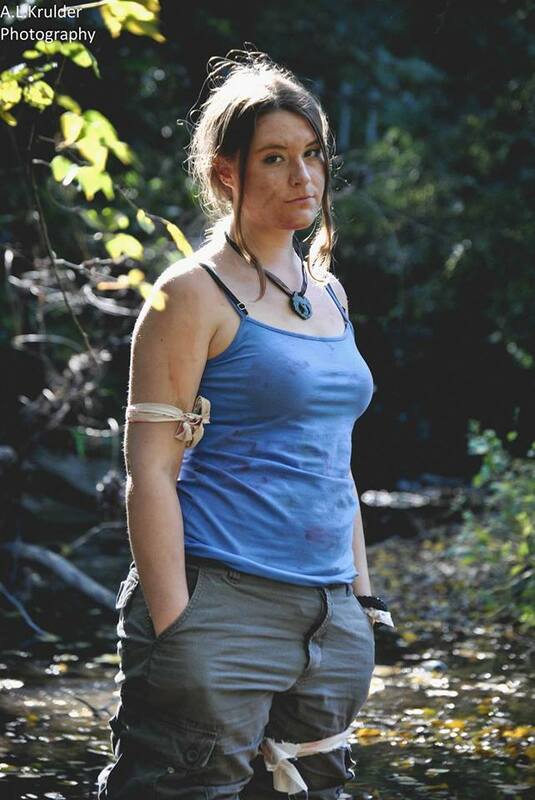 She had seen several photographs of well-known cosplayers, so when Animazement rolled around, she gathered the necessary items and transformed herself into Tomb Raider’s Lara Croft. 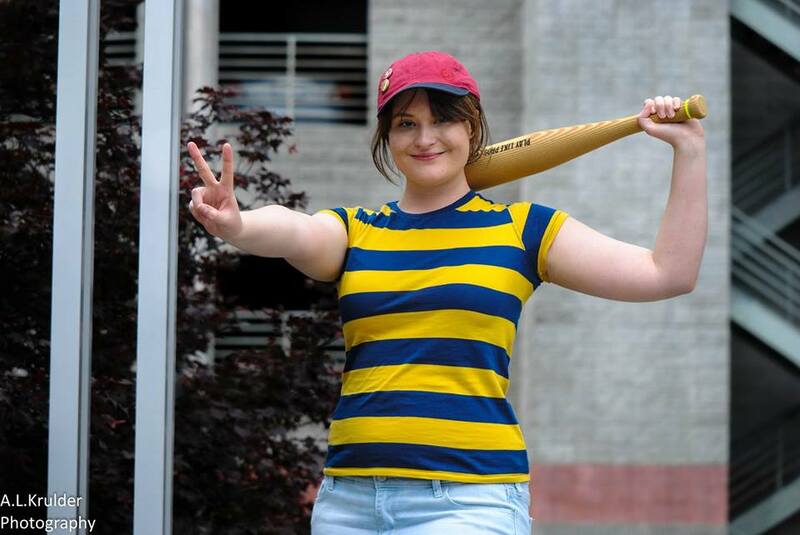 Since then, Anna has cosplayed as Ness from Earthbound, Fallout’s Sole Survivor, Borderland’s Dr. Zed, and Hircine from Elder Scrolls. Besides her own costumes, she even made her brother’s Krieg from Borderlands cosplay. Out of the cosplays she has done so far, her favorites have been Lara Croft, Ness, and a more recent costume, Barnacle Boy from Spongebob Squarepants, because she loved seeing everyone’s face light up when they spotted her. She plans on re-doing some of her old cosplays for future conventions, but also wants to try out Midna from Legend of Zelda, Dragon Age’s Inquisitor, a casual Catwoman, and two different Rise of the Tomb Raider costumes. When she’s not cosplaying, Anna enjoys photography, painting, gaming and reading. 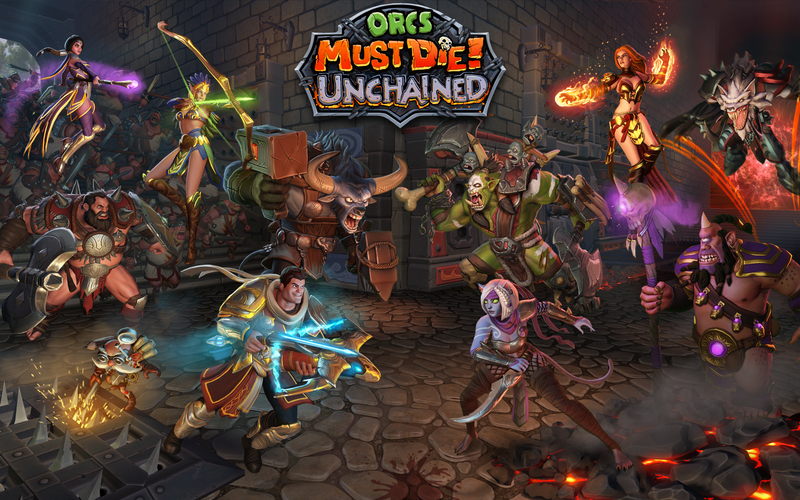 You can find her on Twitch or Twitter! Brandon always wanted storm trooper armor, so upon discovery of a Star Wars costume group called 501st, he knew he had to find a way to join. Luckily, a friend asked if he wanted her to make him a Halloween costume; a perfect chance to ask for an Imperial Officer suit. This was roughly ten years ago, and marked the early beginnings of his cosplay adventure. Since then, Brandon did join the 501st, but also another Star Wars group called The Mando Mercs. Star Wars isn’t the only universe Brandon has explored. 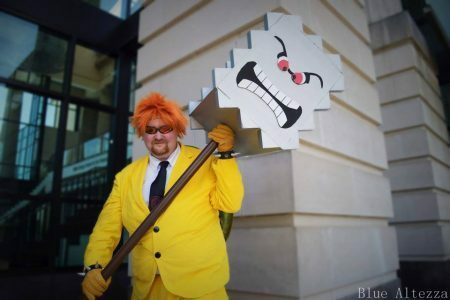 He’s also cosplayed as a pilot from Titanfall, and even transformed himself as a human Bowser from the Super Mario franchise. His inspiration for Bowser arrived in the form of Beat Down Boogie’s Youtube series called ‘Mario Warfare’ that combined Super Mario Bros with Call of Duty. Each year, he tries to find something new to debut. Currently, he’s working on an AT-AT commander, and next year he hopes to do Torbjorn from Blizzard’s Overwatch. Another one of his hobbies is photography. Brandon is still working on building his skills and mainly sticks with cosplay photography, but he has done other shoots. You can find Brandon on his Facebook!